The world of parenting comes with decisions. Oh so many decisions. To breastfeed, or bottle feed? Baby Led Weaning or Traditional Weaning? Organic Cotton or Normal Cotton? Baby Wearing or in a pushchair? Disposable nappies or cloth nappies? None of them wrong, all of them right. Today’s post is about nappies. Honestly a topic I never really thought I’d ever blog about, but I love a good debate, a little education and trying new things. To be frank, the thought of cloth nappies crossed my mind only fleetingly. I kind of knew I was always going to go down the disposable nappy route, despite wanting to do my best where I can for the environment, re-usable nappies just didn’t do it for me. So the great debate, once you’ve decided on the type of nappy, is the brand. And oh my goodness there are so many to choose from. We’ve tried Tesco Baby, Aldi and Pampers, though pretty much just use Tesco Baby now. BUT there may just be a new contender that makes me feel a little more conscious as a parent. We’ve been working with The Conscious Parent Company. 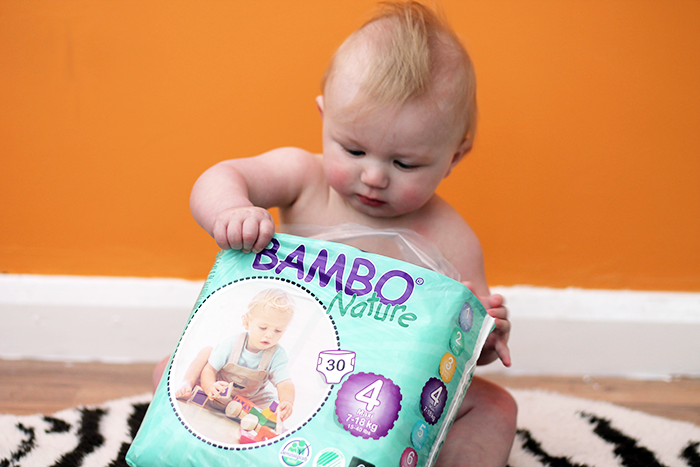 * looking at the advantages of becoming a little more eco-friendly and trialling their Bambo Nature eco-nappies*. 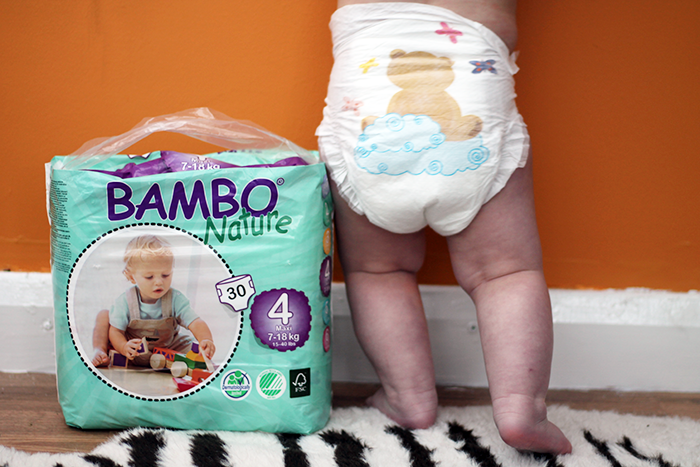 These nappies are award winning, which is always a pretty darn good thing, winning Gold in the Gentle Parenting Awards 2016 for Best Disposable Nappy as well as the Ethical Consumer Best Buy Award. 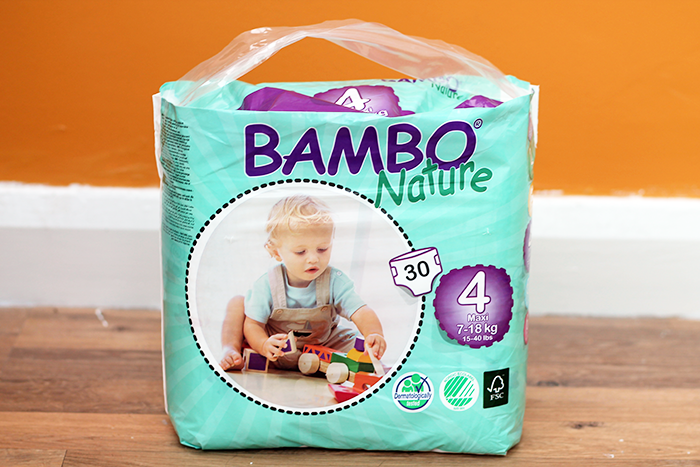 They’re certified hypoallergenic, contain no perfume or allergens and are dermatologically tested to ensure they are as comfy as possible for little bottoms, plus they’re made from sustainable materials, ticking off that environment factor we talked about earlier (you can read all about why eco-friendly nappies are best in this post)! 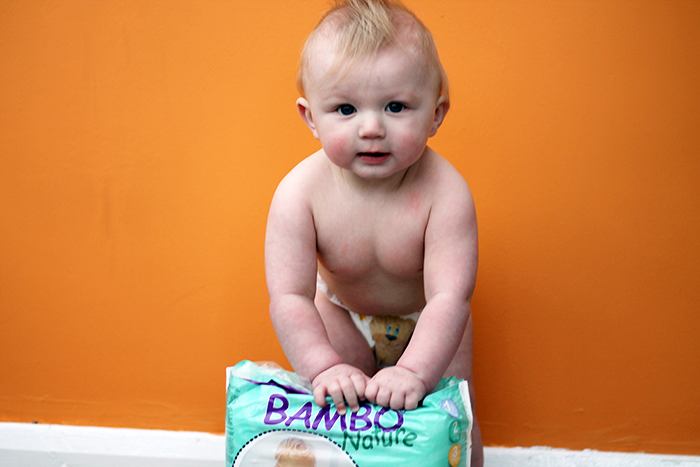 What’s really great about these nappies, is you can by them to last you a certain length of time. Need nappies to last two weeks – covered! Select between one week, two week, or one month packs and you’re all set! Particularly good for holidays away! We started trying them out whilst visiting family as the pack is a really great size – it’s not too big, so packs nicely into the car. They also last really well. 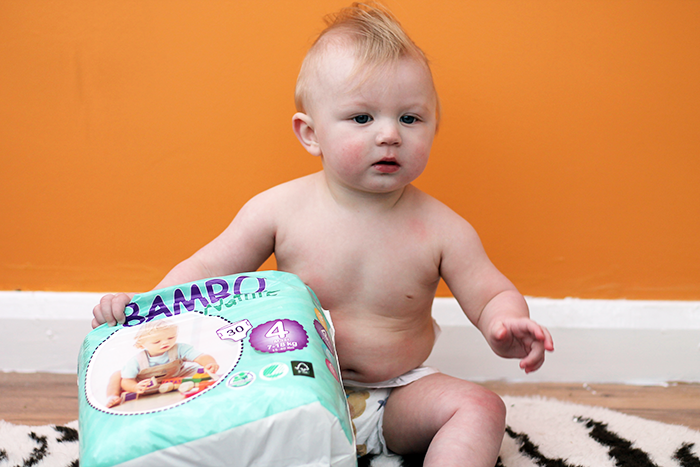 The 30 pack easily lasted us a week, and the absorbency is pretty incredible. Plus they mask any smell really well. 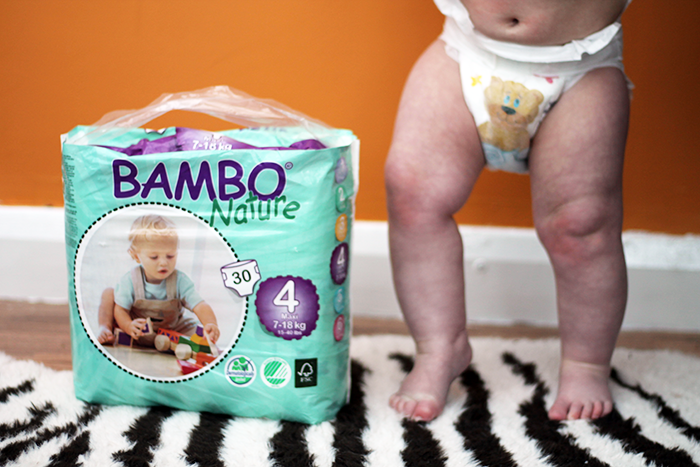 These nappies aren’t the cheapest, but there is a lot more peace of mind, which considering how many nappies babies go through a little peace of mind for our planet, goes a long way. Unfortunately, our switch will have to wait, as with maternity pay about to stop, we’re counting the pennies. BUT I am quite keen to switch to the eco-friendly training pants in the future. How about you? Would you switch to save the environment? *sponsored post, plus nappies provided for review purposes. All opinions, as always, are my own. "Mother’s Day Breakfast in Bed Recipe"
Yes I was definitely of the same mind when pregnant with Henry! I had a few discussions about this topic with a friend when she had her first child. 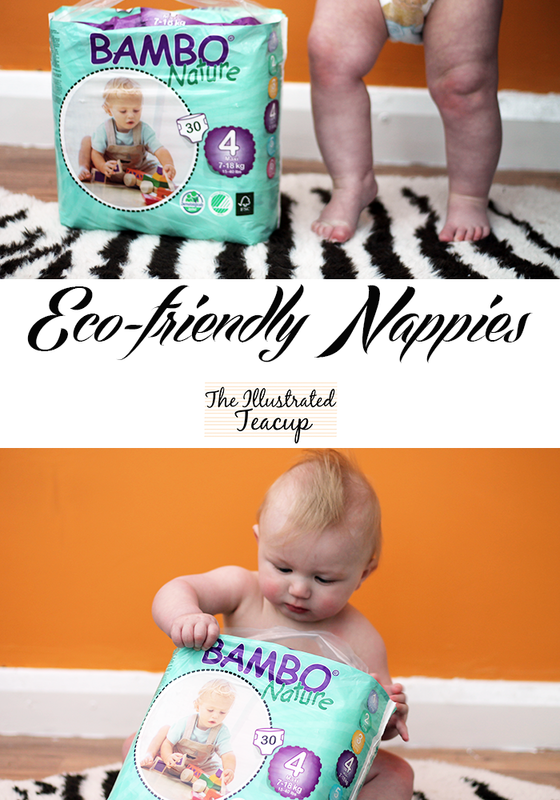 I think it's better for the world and for the child to switch to eco nappies, but sadly money have to be taken into consideration too.Maybe these eco options will be cheaper in time if more people would start buying them. Definitely, money is always a huge factor when it comes to child-rearing, no matter how much we'd rather it wasn't! Totally agree! It's such a shame really.